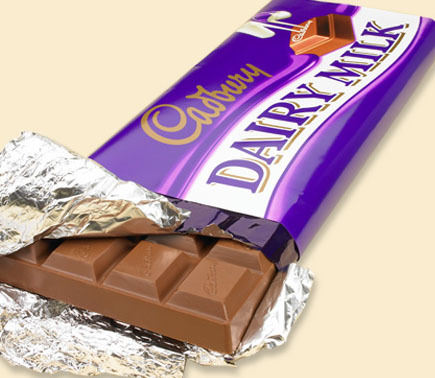 Cadbury Dairy Milk…Ahhh the creamy best! The real deal comes from England and you can buy it at places like World Market. The stuff from the USA just isn’t the same. Check the back of the bar for where it was made. You won’t be disappointed. Wow, I love these! I’m eating a few right now as I type this….They satisfy a chocolate craving and are refreshing all at once. 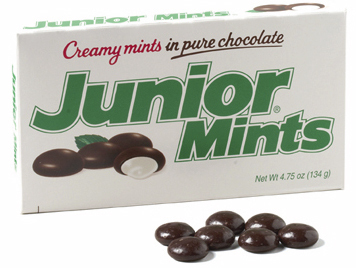 By now everyone has eaten a box, so lets get into a little Junior Mint trivia shall we? All this information was gathered from the Tootsie Roll web site. They were introduced in 1949, and named after a Broadway play called “Junior Miss”. Tootsie Roll Industries (doesn’t sound so sweet and kind when you end it with “Industries”) has made Junior Mints since 1993. They’re gluten-free, and are now vegetarian since the gelatin has been removed. They are OU-D Kosher as well. Look, they are practically health food! 15 million are made each day in Cambridge, MA (home of the Car Talk guys and my family). These are classics, pure winners which need no improvement! I pinned the cupcake recipe, too. I haven’t had Sno-caps in ages, I’ll go out and buy a box. Thanks! Thank you for confirming that. We can only buy the authentic Dairy Milk at import stores, but at least it’s available. When I drive to Canada, I load up! Thank you for the Cadbury tip. I can’t get enough good chocolate which seems to be a lost thing nowadays.